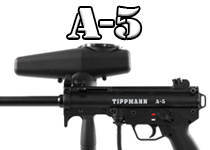 Tippmann Paintball has some of the longest running paintball gun lines in the industry. 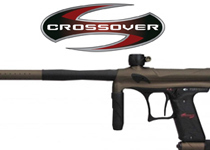 The Tippmann 98, and Tippmann A5 have been among some of the most sought after and trusted paintball guns for all recreational players. 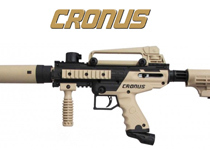 With the recent addition of the US Army, Gryphon, Cronus, and X7 Phenom Lines Tippmann has a selection for every price range and every skill level! 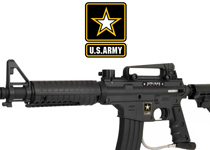 If you are looking for a great paintball gun, Tippmann Guns are a safe bet! 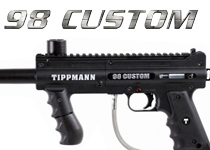 Tippmann 98 Custom Paintball Guns are your base model Tippmann Marker. Used by fields as rental guns, 98 custom paintball guns are extremely durable and can take a beating. 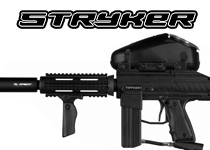 The Tippmann 98 Custom also has a wide range of after market accessories available for producing a unique and custom paintball gun! Tippmann A5 Paintball Guns are kind of the big brother to the 98 Custom. With a slicker finish, selector switch, and Cyclone loading system, the A5 Paintball Gun is a great choice for any player. 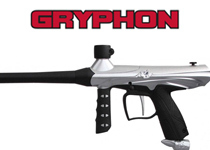 The Tippmann Gryphon is a new line aimed at entry level players. At such a low price, almost anyone can afford to get their own paintball gun. 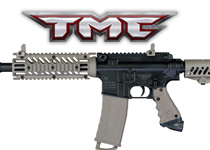 Based of the trusted and proven Tippmann 98 in-line firing system, even at a such a low price you get high performance! 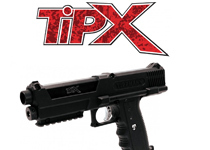 The Tippmann TPX Paintball Pistol is a compact, light weight paintball side arm. With the huge growth in woods ball, and scenario play in the recent years, having a side arm has become extremely popular. 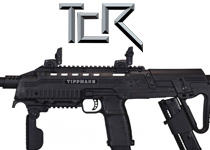 If you want one of the most comfortable, and higher end paintball pistols, the TPX Paintball Pistol is for you. 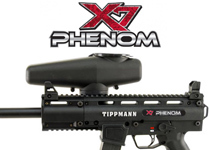 The Tippmann Phenom is the latest from Tippmann Paintball. A high end, high performance paintball gun, the Phenom will perform like some of the mid to high end tournament paintball guns. 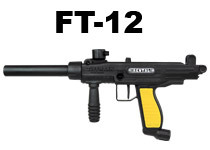 If you are looking for the best performing scenario paintball gun, the Tippmann Phenom is for you!